Candidates or their representatives can submit the nomination papers for President election on or before June 28. 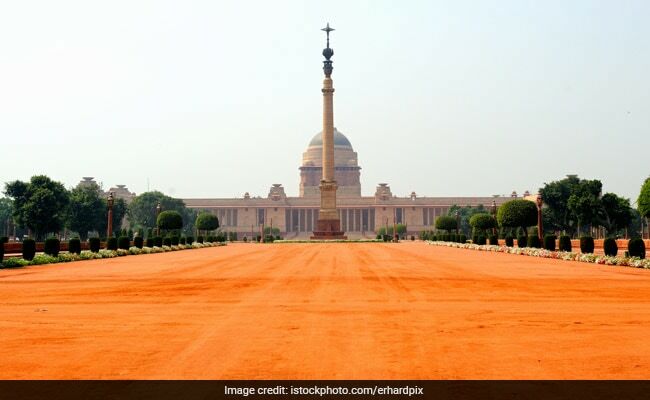 The election for the fourteenth President of India will be held on July 17. New Delhi: The Election Commission of India opened the process of filing nomination for the fourteenth President of India today. The nomination process will close in two weeks, on June 28. With President Pranab Mukherjee's term coming to an end in July, the Centre and the Congress-led opposition parties have intensified their efforts to find a suitable Presidential candidate. Opposition parties are meeting in the capital today to chalk out their joint strategy and come up with a consensus candidate. BJP chief Amit Shah formed a three-member panel of senior cabinet ministers on Monday to find a common ground with NDA allies on their choice of a candidate. An election will be held only if the government and the opposition don not come to a consensus and decide to field separate candidates. Lawmakers of the Lok Sabha and Rajya Sabha, and state legislators comprise the Electoral College that will vote in the July 17 election. The strength of the electoral college is 10,98,903. Candidates or their representatives can submit the nomination papers along with Rs 15, on or before June 28. The papers will be scrutinised on June 29. Only those candidates a candidate backed by 50 'electors' and seconded by another 50 can file nomination. Candidates can withdraw their nomination by July 1. Voting will take place on July 17 from 10 am to 5 pm. at the places of polling fixed under the rules. The results will be out on July 20. Senior cabinet ministers Rajnath Singh, Arun Jaitley and M Venkaiah Naidu are part of the panel formed by Amit Shah that will consult allies. Sources said a National Democratic Alliance (NDA) nominee is likely to file nomination by June 23. Last month, Congress president Sonia Gandhi hosted a lunch for leaders of 17 opposition parties in an attempt to find a joint opposition candidate for President. TMC chief and West Bengal Chief Minister Mamata Baneree suggested that both the Centre and the opposition support a consensus candidate. Some of the probable candidates of the opposition are Janata Dal (United) leader Sharad Yadav, former West Bengal Governor Gopalkrishna Gandhi and former Lok Sabha Speaker Meira Kumar.